Based on reviews from 39,811 users. Learn how our rankings work or see our guide to silver sneakers. Updated Apr 2019. Each colorway of a shoe represents different meanings and is interpreted differently by wearers as how they see it and how it reflects them. Commonly, people buy a certain colorway of a shoe because it is their favorite or because they just simply like how it looks, and sometimes it is because of a deeper reason. There are also some specific releases that the colorways of the shoe play a significant role in the whole design of the silhouette. Some re-releases or special edition releases of iconic sneakers features a set of, particularly picked colors. Silver sneakers are among the ones that display uniqueness and a strong appeal. The component of the silver color expresses confidence and being adventurous. The silver color also conveys the sense of femininity. 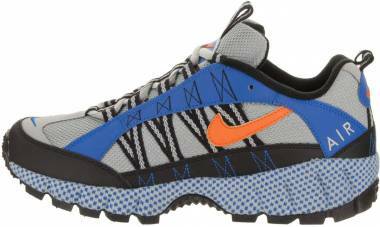 Nike, as one of the top and leading brands in the footwear industry, has witnessed quite a lot of successful releases. The gigantic brand has built a solid reputation with its high-quality and high-performance silhouettes. A lot of silhouettes and a wide variety of colorways have been offered by Nike through the years as it continues to serve and meet the demands of the people. Several iterations for their iconic silhouettes were made by the brand, altering the materials used for the construction of the shoe or giving the profiles new colorways. This silhouette was first introduced in the year 1997 and created its own image in basketball that continues to live on. The sneaker celebrated its 20th birthday with a new look of metallic silver and black colorway that is finished off with a translucent rubber sole. 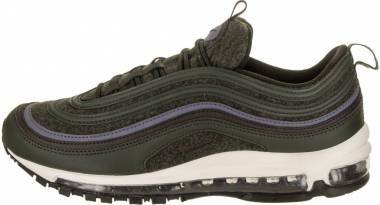 For the 20th anniversary of the Nike Air Max 97, the sneaker was given a fresh look with an updated mesh and fused upper and finished off in a silver colorway. 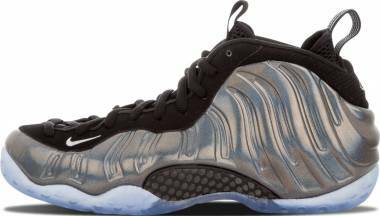 Penny Hardaway’s signature shoe, the Nike Air Foamposite One displays its signature Zoom Air unit, the carbon-fiber midfoot plate, and the seamless liquid Foam mold. Built with a bootie construction which hugs the foot in a snug comfort, the 2nd coming of the Roshe showcases a stylishly simple design. 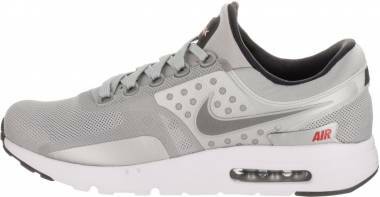 This Nike original is offered in multiple variations and is offered in many colorway options, including being one of the brand’s silver sneakers. The Nike Air Huarache was designed by Tinker Hatfield. 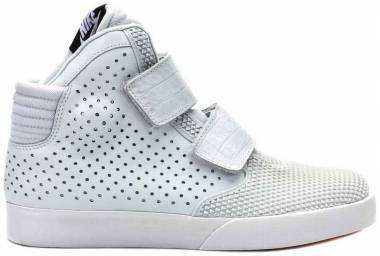 These silver sneakers are built with a neoprene sleeve on the inside that provides support and proper lockdown for the foot. The overlays of the sneaker give support on key areas of the sneaker. A premium variation of the classic, Nike Air Huarache, the Nike Air Huarache Premium displays a freshened up look with design and colorways that the brand took inspiration from the classic Nike ACG models. It showcases its updates like its new dimpled foam effect on its toe box. It also displays its traditional neoprene bootie. A rather stylish and luxurious style is delivered by the shoe with attractive colorways. Released in 2015, the Nike Air Max 1 Ultra Moire displays a brand new outsole that uses less material compared to the main model, the Nike Air Max 1. The iteration done to the shoe gives off a rather enhanced flexibility and lightweight feel. 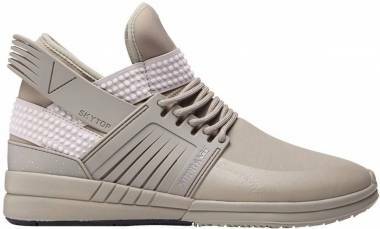 Covered in mesh upper and synthetic leather overlays, this silhouette which is also among the brand’s silver sneakers, provides a lightweight and breathable comfort to the wearer. A brand that carries a rich heritage, Adidas has been around and successfully conquered the footwear industry since it was established back in 1949. The brand continues to create and produce innovative products both for athletic and fashion purposes. Adidas has made a concrete name for its own with products that offer quality performance. The brand also owns the silhouettes that have played massive parts in history. These shoes turned out to be some of the most iconic shoes in sneaker world. To keep these extremely popular sneakers alive, the brand has released some variations, and also created new models that display remarkable features such as material iterations or unique colorways. The Adidas Stan Smith, is one of Adidas’ most iconic shoes, and it has been given a touch of modernity through the Boost technology of the brand that gives an enhanced energy return. The Adidas Stan Smith Boost was also given the metallic touch and displays a metallic silver colorway. The silver sneakers were finished off with silver laces that match up with its metallic upper. The Adidas CC 1 received a metallic makeover and flaunted a metallic silver image. This silver sneaker features the climacool technology that delivers a 360-degree cooling effect for the foot. The sneaker also features an open mesh upper, a TPU toe cap, and the Adiprene+ that is built on the forefoot of the shoe that gives off good support and provides great shock absorption. A sneaker that has made an impact on the pop culture as well as on fashion industry, the Adidas Campus is one of the brand’s classics that displays a simple yet stylish design. These street-ready silver sneakers’ design is finished off with the serrated signature 3-Stripes Adidas branding. One of Adidas’ most iconic silhouettes, the Adidas Superstar flaunts its signature “shell toe” yet has been given a modern Superstar upgrade with the Boost technology. With the fresh makeover, the brand is furnished with a metallic finished, joining the list of Adidas’ silver sneakers. The Adidas Superstar was first released back in 1969. The sneaker lived up to its name and became one of the brand’s most iconic shoes. Featuring its signature “shell toe” that increased the durability, the sneaker displays a full grain leather upper in which now comes in multiple colorways. A metallic touch is also given to the classic shoe that grants it its own place among the silver sneakers of Adidas. Puma owns a firm place in both sports and fashion worlds. It lives on creating and producing athletic and lifestyle products that capture the hearts of many with their quality performance and style. Represented by its iconic cat logo, Puma expresses its journey through innovation in the image of their silhouettes. 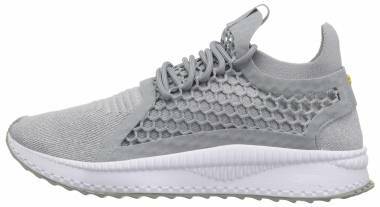 Taking inspiration from dance movements as well as particular training needs, the Kylie Jenner-inspired Puma Fierce Core delivers a design that takes one symmetry and style. This sneaker meets the training needs of the wearer and is available in multiple color combinations that display simple, attractive appeal. 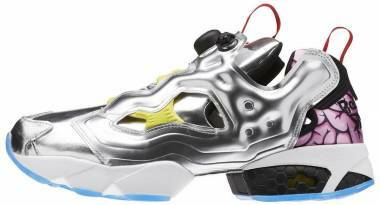 A silver colorway is offered for this shoe, putting it as a part of Puma’s silver sneakers. The Puma Suedes are one of the brand’s classics and icons that have been reigning the sneaker industry for decades already. These silhouettes have been a part of some influential eras. The Puma Suede Classic Mid displays its signature classic design in suede upper in which delivers a street-ready style yet also offers its sports-inspired appeal. The leather upper construction of the 60s-themed Roma gives off a vintage vibe with its whole design. The shoe also features the EVA midsole for cushioning that provides superior comfort. The sneaker was also given the metallic silver colorway and now joins the brand’s group of silver Sneakers. This sneaker features a patent leather upper for a premium metallic design with colorways that also includes the Silver color. 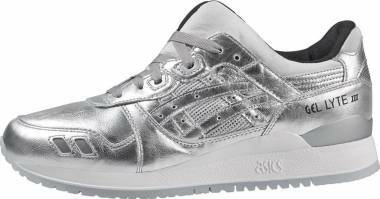 These classic Silver sneakers also showcase the full-length EVA midsole that gives off excellent responsiveness. This variation of the Puma Basket Classic showcases a unique characteristic as its upper changes its color, depending on the angle of view and the direction of the light. The iconic Puma Clyde silhouette exhibits the distinguishable snake skin pattern on its upper, showing off a more stylish appeal. Introduced in the 1980’s to give advanced support for athletic feet. 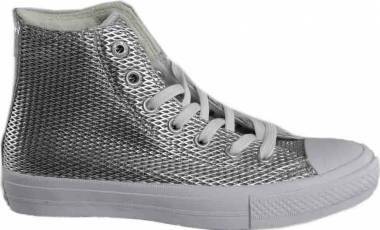 The leather-covered upper high-tops silver sneakers deliver comfort and style to the foot. This exclusively for women shoe exhibits luxurious details on its leather upper construction. Its classic nubuck heel tab gives off an additional effect on its design. New Balance is widely known through their performance running shoes. Throughout the years, the brand managed to successfully make its way into the lifestyle category, bringing in their popular silhouettes. The brand was able to keep up with the constant evolution of both technology and style on footwear. New Balance was also keen on making variations of their iconic shoes and producing their products in multiple recognizable and stylish colorways. This sneaker conveys a stylish appeal with the combination of metallic and mesh on its upper construction. The RevLite cushioning system of this shoe gives the foot an all-day comfort and protection. Covered in suede and mesh upper, the New Balance 580 offers maximum comfort and breathability for the foot. 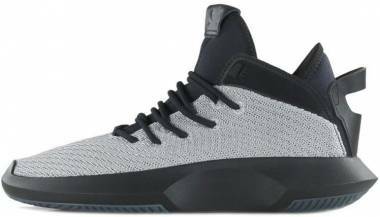 This low-top sneaker displays a stylish appeal and offers quality performance and support for the foot. The New Balance 696 holds the position of being one of the brand’s iconic shoes. It features a timeless design of a combination of suede and mesh material on its upper. The low-top silhouette displays an array of colorways which includes the color silver, earning it a place among the brand’s Silver Sneakers. The 574 from NB which exhibits a premium suede upper with hints of mesh material finished up with the supportive ENCAP cushioning. Another member of New Balance’s Silver sneakers, is the New Balance 574 Classic. The shoe displays some metallic touch with its overlays. 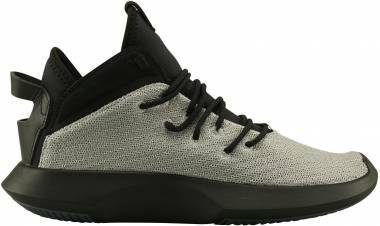 The low-top shoe also features a breathable and lightweight mesh upper and a bootie construction. This sneaker took inspiration from the 1970’s fitness, the New Balance 420 Re-engineered exhibits a sleek, timeless design with suede and nylon upper. The silhouette also features the RevLite cushioning that offers lightweight comfort for the foot. When one says “Converse,” most people will have one thing in mind: the Chucks All Star. The silhouette brought the brand into its massive popularity and became one of the most iconic shoes in history. The Converse Chuck Taylor All Star embodies the brand, and so as of the present, the silhouette continued to live on and was released in a wide variety of variations in both shoe construction materials and colorways. This low-top version of the iconic Chucks All Star displays a metallic appeal with its canvas upper construction that offers maximum comfort and durability. A metallic touch for an iconic silhouette, the Converse Chuck Taylor All Star Metallic High top, displays its traditional canvas upper but with its silver colorway, it joins the club of the brand’s Silver Sneakers. A brand that has well-established its identity, initially in the skateboarding community and eventually in the lifestyle sneaker category, Vans offers quality performance yet also fashion-forward silhouettes. Being a favorite brand in both types, Vans has lived up to its reputation on the streets as it also continues to keep its iconic sneakers alive. Material and colorway iterations were done by Vans as well as releasing new products with remarkable colorways. The classic silhouette features a metallic leather upper with the elastic side accents along with its padded collars and its trademark waffle outsole. Onitsuka Tiger came into existence a few years after World War II. 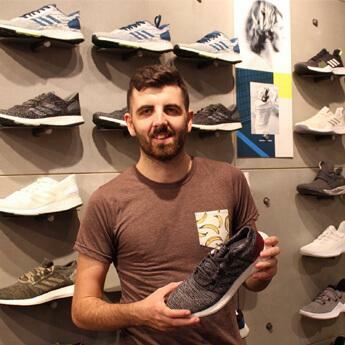 The brand aimed at producing high-quality performance shoes for sports that could help the youths in conquering their mental health issues that were an aftermath of the war. The iconic 66 Mexico silhouette was created in the year 1966 and was first introduced to the world during the 1968 Olympic Games pretrial in Mexico. It features a leather upper structure, and suede finished heel and toe cap. Finished off with the Onitsuka Tiger branding, the sneaker also exhibits a silver colorway. Ecco is a Danish brand that was first established in the year 1963 by Karl Toosbuy. Since its inception, it has become one of the world’s popular brands. It has been offering the people high-performance shoes that lead it to its success. These silhouettes are built in quality materials and covered in remarkable and stylish colorways. A shoe that offers both versatility and performance. The Ecco BIOM Fjuel Racer showcases synthetic upper structure complemented with a lace-up closure system. It also exhibits the BIOM technology along with a soft Strobel insert that gives off maximum comfort. A stylish sneaker that offers modern comfort, the Ecco Eisner Tie offers premium quality and relaxed, casual appeal. Supra is a skateboarding brand that like many other, successfully made its way through the sneaker lifestyle category. A good number of its stylish silhouettes have garnered popularity among skateboarding enthusiasts and fashion personnel. An iconic silhouette from the brand, the Supra Skytop is built with a padded lining for its tongue and collar that provides additional comfort for the foot. What does it represent when a person wears silver sneakers? Wearing the color silver commonly expresses the sense of adventure of the wearer, telling the world that they are always up for anything. The color also conveys sophistication and confidence in style. How to wear silver lifestyle kicks? An all-black outfit is one thing that one can never go wrong as it goes with everything including silver shoes. Add some fun on a knit sweater plus mom jeans ensemble with a pair of silver casual kicks. Silver sneakers can be a great choice as a finish for a casual ensemble such as a pair of gray joggers and a white t-shirt. A dark set of outfit can be brightened up with some metallic silver sneakers. Spice up a flannel and scarf combo with some silver shoes. Don a pair of colorful socks and a mini skirt finished up with some silver sneakers for a unique outfit. Silver sneakers is a total match for a maroon top. Leggings and oversized sweaters and silver lifestyle shoes. A mini skirt, tights, and a pair of silver sneakers for a stylish cold-weather look. Metallic silver sneakers give more stylish appeal to simple ensembles such as t-shirt and jeans. Black and white combo plus silver shoes and one can hit the streets. What are the ways to fix a scuff on metallic shoes? Find the shade of nail polish that matches the color and shade of the metallic shoe. One can use white vinegar to clean up the scuff from as it is a natural cleaner. Apply enough amount of nail polish on the area with the scuff. After the first coating, let it air dry before going in for the second coating. Finish off with a top clear coat to secure the color. Is it a wise idea to buy silver sneakers instead of other colorways? Buying a pair of sneakers in a particular colorway depends on the buyer. Silver sneakers display uniqueness and attractiveness that mostly catch the attention of the buyers. The decision of the person in picking this particular colorway may come in different reasoning. The important thing in purchasing a pair of Silver sneakers is that one is sure that it is what they truly want and need. What type of cut is great for lifestyle silver shoes? Low-top, mid-top, high-top, just take a pick! The colorway of a sneaker does not necessarily depend on the cut of the silhouette. It mainly relies on the design and the wearer’s capability of styling up their Silver Sneakers.